Once up and running, the Array of Things hopes to offer community groups, Chicago’s local government, as well as a variety of entrepreneurs, access to the amassed data. The hope is that ongoing collaboration will allow those involved to help improve every aspect of Chicago as a whole. By soaking up climate information pertaining to fluctuating temperature, barometric pressure, carbon dioxide and nitrogen dioxide levels, as well light, the Array of Things figures to have priceless data at its fingertips. “I thought, what a tremendous opportunity that would be for the science community to better understand things like climate and air quality,” Catlett told Fast Co. Design. 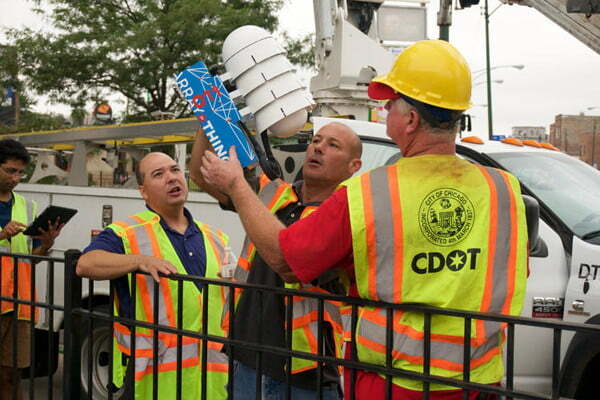 After learning the city of Chicago was in the preliminary stages of replacing its aging streetlights, Catlett immediately saw an opportunity to make a difference. 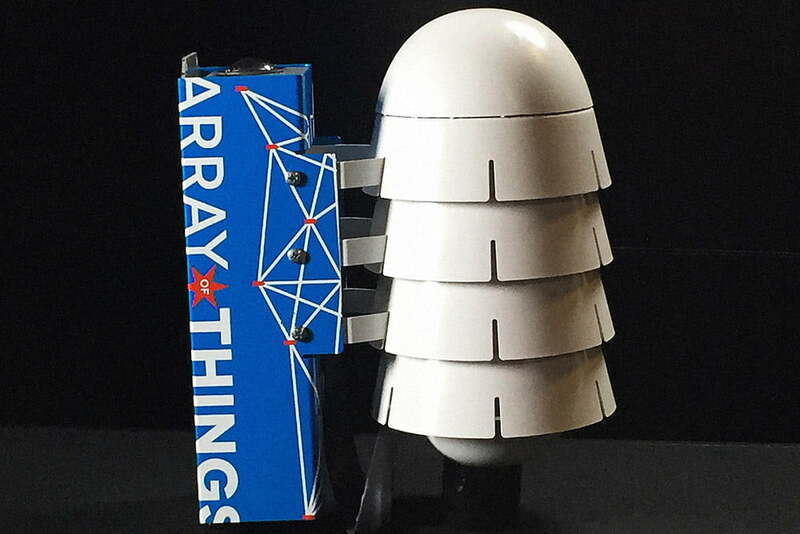 After tasking students at the University of Chicago and Argonne National Laboratory for input on the kind of data to collect, he then turned to the Art Institute of Chicago to crowdsource the best possible design for the sensors. Once this was done, the National Science Foundation chipped into the fun by agreeing to fund part of the development and manufacturing of the sensors (called nodes). With funding secured, the next task at hand was to begin designing the sensors in earnest. Aside from wanting to create something which avoided looking like a Skynet device, the designers also needed to build a tool that could withstand Chicago’s schizophrenic annual weather. Be it long bouts of frigidly icy weather or the (literal) dog days of Chicago’s humid summer, the sensors needed to be resilient; period. Furthermore, they needed to be pleasant to the eye. While this is a function of the initiative, it’s been one largest parts of the Array of Things receiving criticism. The City of Chicago’s Chief Information Officer, Brenna Berman, feels the program has the ability to do much more good than bad and that it will be critical in making informed policy decisions. With the initiative in its infancy, it remains to be seen just how effective the monitoring system figures to be. 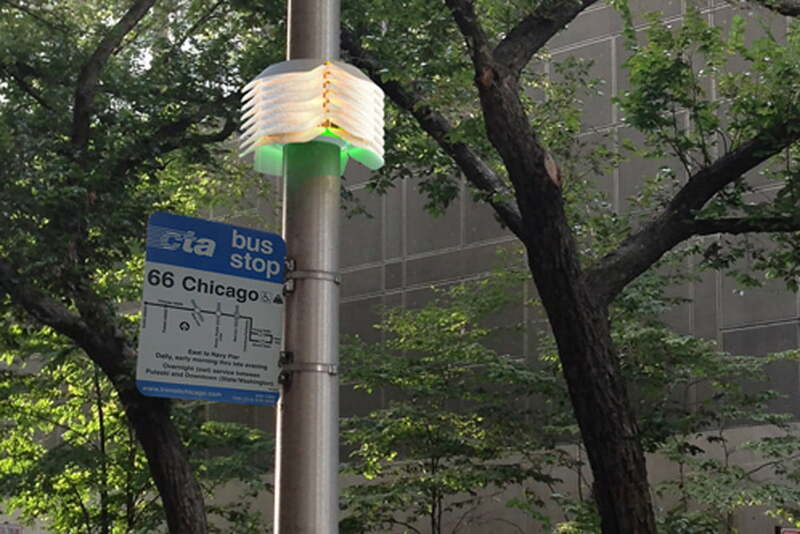 As of now, 42 sensors are being installed around Chicago with the team hoping to expand that number to between 60 and 80 before winter officially hits.